The allied healthcare sector has become a lucrative employment option as the demand for healthcare professionals is on the rise. The projected growth of employment in the healthcare sector, as observed by the US Bureau of Labor Statistics, is expected to rise by 19% from 2014 to 2024. For individuals who intend to pursue careers in healthcare and finish their studies within short span of time and at low education costs, allied healthcare proffers good career prospects in more than 80 different professions. Technological advances and aging population in the country have created space for more professionals that provide healthcare services. If you are interested in knowing about employment prospects in the industry, continue reading for a list of a few fast-growing allied healthcare professions. One can choose a profession based on their interest, eligibility criteria, cost of education, and job outlook. 9% growth, which is faster than the average, is foreseen for pharmacy technicians between 2014 and 2024, indicating a good period for a career in pharmacy. 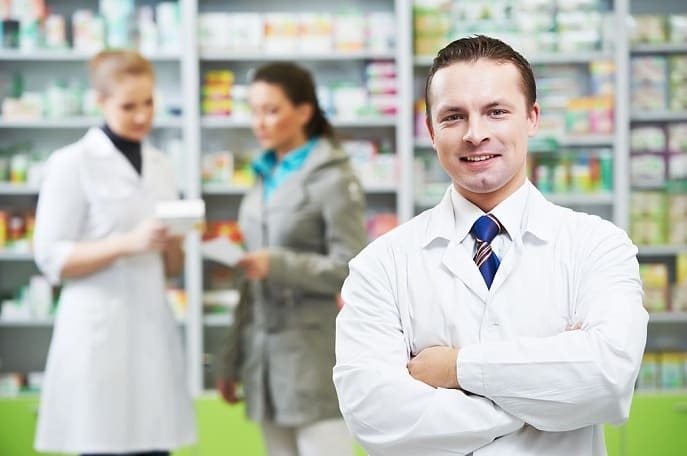 Pharmacy technicians primarily assist pharmacists in dispensing medicines to the customers and the patients. They are also responsible for attending to queries from patients and fulfilling administrative duties. Qualified technicians can take up employment at establishments like hospitals, retail drug stores, department stores, nursing homes, and private clinics. Post the completion of high school diploma or a degree of equivalent value, prospective technicians can enroll for the pharmacy technician program and avail the training and the education required to become a certified pharmacy technician. While certification is not mandatory, it does add value and provide validation of knowledge, which is preferred by many employers. Pharmacy technician certification can be obtained from Pharmacy Technician Certification Board or from the National Healthcareer Association by satisfying their respective eligibility criteria. Cardiovascular diseases are one of the leading causes of death in the country, thus demanding technological improvements, and cardiovascular specialists and technicians to cater to heart-related ailments. The US Bureau of Labor Statistics has predicted a 24% rise in the demand for Cardiovascular Technologists in the present decade. The average annual pay in this field as recorded in the year 2014 was $62,540. With rising demand, the pay packages are expected to only rise from the current scale. For greater career opportunities, technologists can obtain certification from the The American Registry for Diagnostic Medical Sonography. The key duties of a cardiovascular technologist include assisting physicians in diagnosing and treating cardiac and peripheral vascular (blood vessels) ailments. Students are given theoretical and practical training to impart hands-on experience and sound technical skills, making them job-ready. The technologists are employed at hospitals, clinics, and at medical and diagnostic laboratories. Patient care, administrative tasks, stakeholder engagement and communication, medicine administration, conduction of diagnosis, and patient health record maintenance are the tasks of a medical assistant. The demand for medical assistants is on the rise with the average growth expected to increase by 23% in the next ten years. Medical facilities like surgical and non-surgical hospitals, private clinics, out-patient care facilities, and nursing homes employ medical assistants. The median annual salary of a medical assistant was recorded to be $29,960 in the year 2014. For better career opportunities, medical assistants can become certified by opting for certification from any one of the certifying organizations. American Association of Medical Assistants, American Medical Technologists, National Healthcareer Association, and the National Center for Competency Testing are the bodies that certify medical assistants. These professionals perform the vital task of recording all health-related information of the patients. They use universally established ICD and CPT codes to record and use information for claiming payments for the medical services provided. Medical billing and coding specialists earn an average pay of $35,900 and are employed by medical service providers like hospitals, clinics, medical facilities, and physicians. Engaging with insurance companies and the patients is one of their important tasks, in order to facilitate inflow of payment for the services rendered. 22% increase in the demand for these specialists has been reported by the US Bureau of Labor Statistics by the year 2022. To get employed by credible and well-established healthcare facilities, billing and coding specialists can obtain certification from either one of the three certifying bodies namely American Academy of Professional Coders, National HealthCareer Association, and the American Health Information Management Association. Aspiring professionals can choose from the many allied healthcare professions by evaluating and comparing the demand, the pay scale and the career prospects related with each profession. Education from recognized institutions followed by certification can help students achieve good professional growth in a short span of time.